Welcome to Hexham Racecourse. 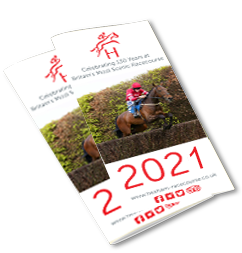 We would like to thank you for entering your horse in one of our races and hope that you experience an enjoyable and successful day. We trust that you find this page helpful and always appreciate any feedback you may have. For further enquiries in advance of the day, please contact the Hexham Racecourse Office on 01434 606881. Up to 6 additional badges can be purchased at £10 each. Additional badges above these allocations can be purchased on application to the Racecourse Office prior to racing or at the Owners & Trainers Entrance on the day. Badge requests can be emailed in advance of a meeting to raceday@hexham-racecourse.co.uk. Please provide a list of names for badges required and these will be available to collect on racedays at the Owners & Trainers Entrance. Identification may be required when collecting badges. There is a dedicated Owners & Trainers Bar located at the top of the Parade Ring for those who have runners on the day. This bar provides Owners & Trainers with complimentary tea and coffee, bowl of soup and sandwich. Other refreshments are available to purchase. Owners and Trainers are welcome to book a table in the Pavilion Restaurant, overlooking the racecourse. A table for the day and a four course carvery buffet is available for a discounted price of £68.40 per person (10% discount). Advance booking is essential as regrettably, tables cannot be reserved due to the popularity of this restaurant. If your horse is a winner at Hexham Racecourse, you will receive a memento presented by our race sponsor, plus a complimentary photograph and digital copy of your race. Winning connections will also be invited into the Winners Room for a complimentary drink to toast their success and review the race.